We are aware that we process information that in most cases is important personal and corporate information. That is why we have a policy of data protection and confidentiality, which not only complies with the applicable laws, but also goes beyond and protects the information that any employee handles. In this sense we faithfully comply with the Romanian Law 677/2001 on the protection of personal data. We maintain the confidentiality of our customers and do not use their names for publicity purposes. 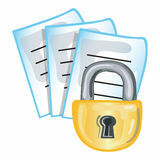 We have internal measures to fully protect the processed data. Contractual clauses with all employees and collaborators in order to maintain absolute confidentiality and commitment to not maintain copies of the works for their personal use. Working protocols that allow complete control over persons who access the data and how it is processed.